There are 16 angles in Airbus A300s wing box. On the right side, rear spur, and lower flange area of the center wing box, one of these angles had been cracked with a length of 28 mm. This crack has decreased residual strength of the part under allowed values and resulted to a rupture in the rear spur lower cap. Several reports of the same occurrences in other Airbus A300 air crafts, highlight the importance of finding the causes of this failure. 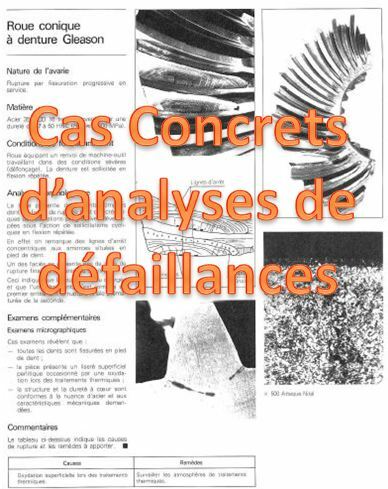 Finally, it was concluded that corrosion fatigue was the main reason which itself comes from manufacturing, maintenance, metallurgical, and geometric reasons as were discussed in this study. An article published in International Research Journal of Engineering and Technology (IRJET), Volume: 03 Issue: 04 | Apr-2016. 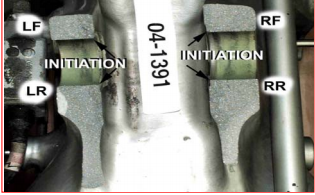 An analytical study was performed about piston failure by fatigue. Fatigue cracks are initiated and propagated by the action of mechanical and high temperature loading conditions which induces cyclic stresses in the piston material. Various proposals and solutions are presented so that necessary care can be taken to prevent piston failure in future.